Canned tomatoes come in many forms – crushed, diced, whole, puree, etc. 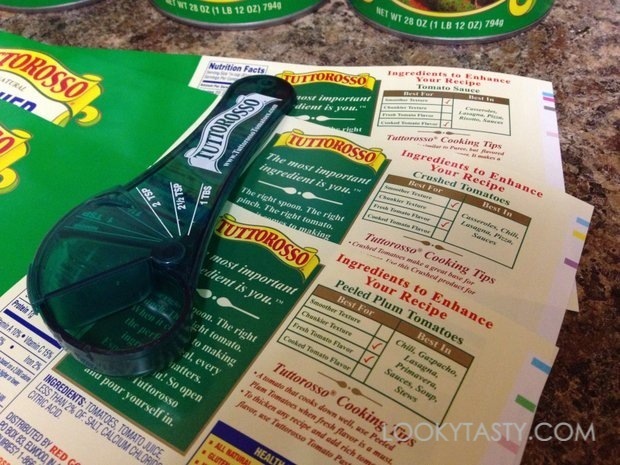 On the labels of Tuttorosso products, you’ll find cooking tips on when to use which. For example, tomato paste is great for thickening recipes while crushed tomatoes are a convenient base for pasta sauce. 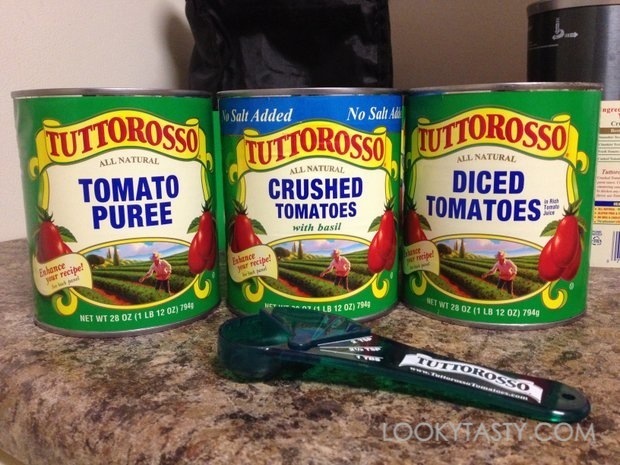 I recently received a package of Tuttorosso tomato products along with a handy measuring spoon, which included tomato puree, diced tomatoes, and their newest no salt added crushed tomatoes with basil. 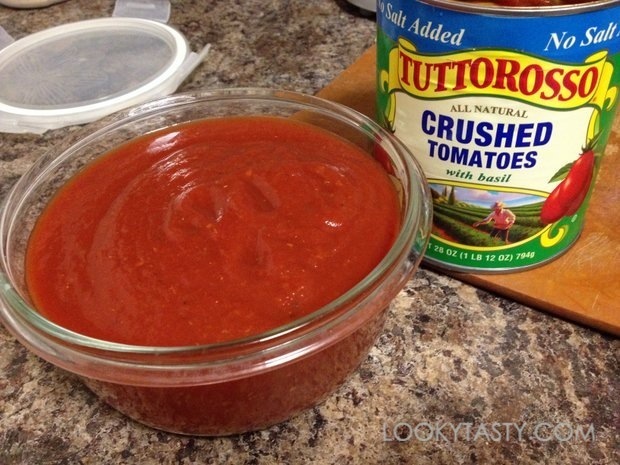 The crushed tomatoes have a fresh tomato taste and smooth texture. It’s best for casseroles, chilli, pizza, and sauces. I used it to prepare a simple tomato sauce for my baked spinach omelette. 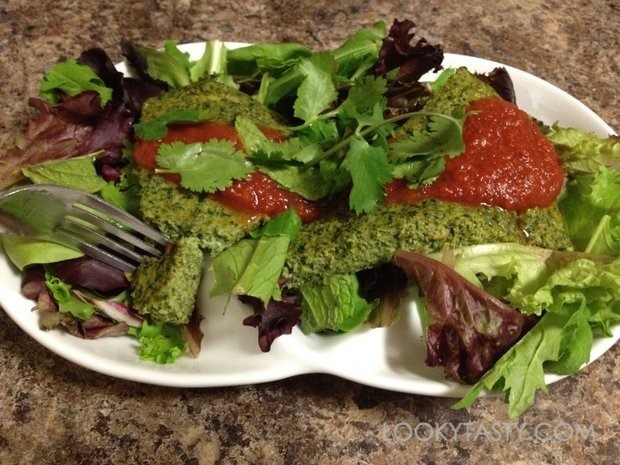 Heat oven to 350 degrees F. Coat a cast iron skillet (or baking dish) with coconut oil. 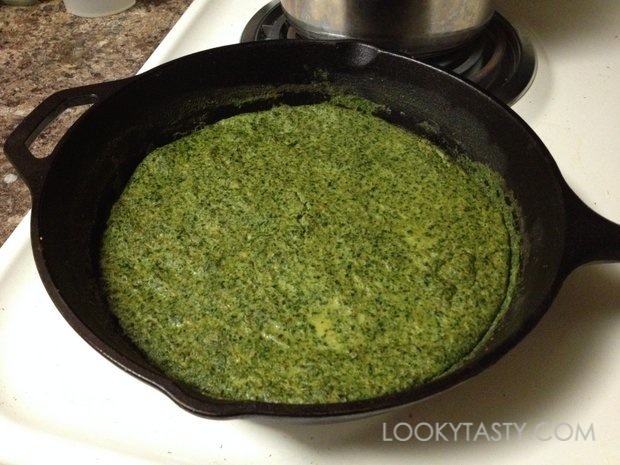 Pour mixture into the skillet and bake for about 20 minutes until ready. Heat up 2 cups of crushed tomatoes. Add 1/4 tsp dried oregano and 1 tsp ground black pepper. Bring it to a boil. Lower the heat and let it simmer until it reaches a nice thickness and consistency. 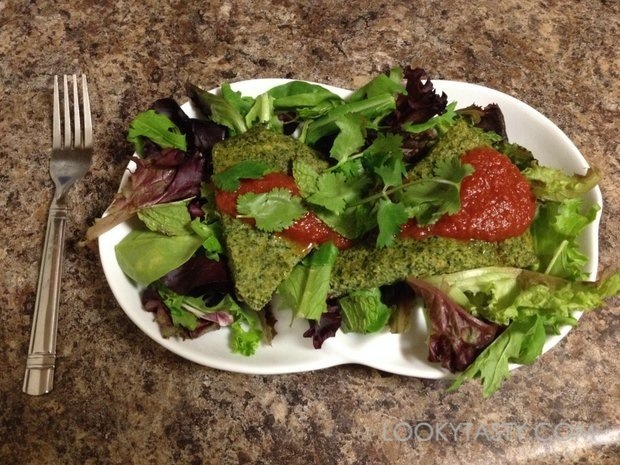 Lastly, I served 2 slices of the baked omelette over a bed of spring mix salad and topped it with some tomato sauce, fresh cilantro and chopped mint leaves. Disclaimer: The products were provided for sampling by Tuttorosso. No other compensation was made. The post was written by LookyTasty and all opinions expressed are solely mine.